In the former mining city Herten in the district of Recklinghausen, our IHK-certified investigators operate in private cases that are about maintenance issues, custody battles, or a suspicion of infidelity. We also investigate corporate cases which damage a company's procedures and structures, such as warehouse and cargo theft, espionage and violation of sick pay. We will gladly operate on your behalf, too: +49 234 3075 0073. The medium-sized town (2017) is located in the metropolis area Rhine-Ruhr, in the South of the district of Recklinghausen, bordering Gelsenkirchen, and counts 62,290 inhabitants. 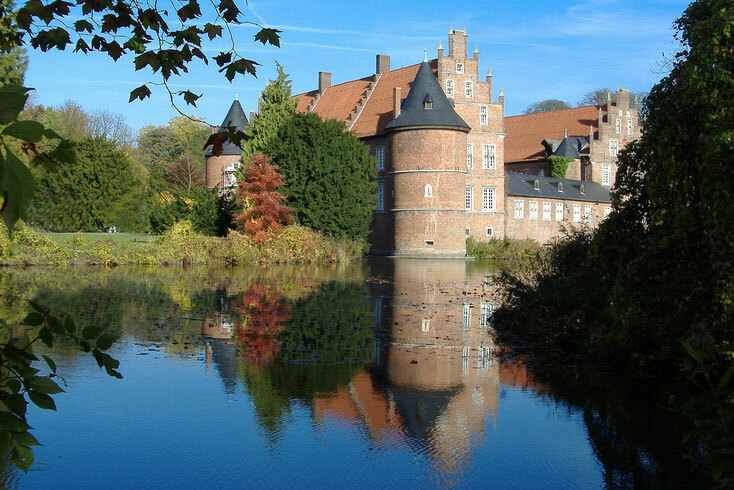 Although located in the Ruhr area, Herten has preserved the peacefulness of a small city. However, the inhabitants are not so much concerned with local sights, such as the Herten Castle or the Westerhold Castle, but rather with private matters which threaten to have a negative influence on the quality of their lives: Problems which bring clients to our private detective agency in Herten include doubts about the partner's fidelity, the worry that the child may not be in good hands with the ex-partner after a separation, and alimony claims. Also, sensitive subjects, such as domestic violence, violation of somebody's rights of sexual self-determination, stalking, and intimidation, are not new to our detectives. We handle the issue and the victims with discreet and tactful care. We also offer our clients the opportunity to confide their case to either a male or a female investigator. Please, make use of our contact form or give us a call and we will advise you in detail in a non-binding interview. 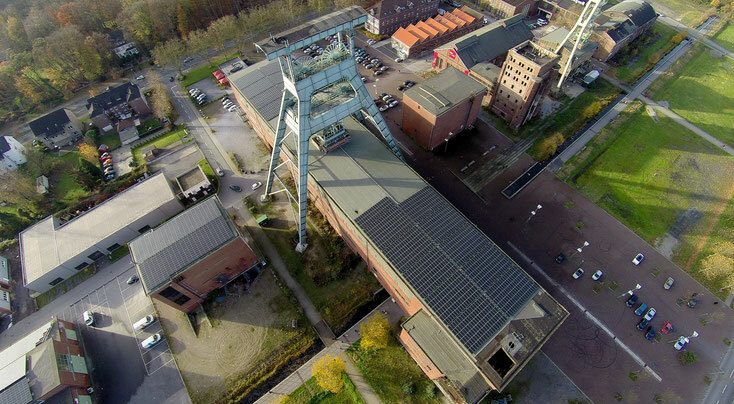 Initially shaped by the mining industry (in the photo: Zeche Ewald), the focus in Herten has shifted noticeably. Our private investigators in Herten not only operate in private cases but also in prosecutable cases (see below). The last colliery of Herten was closed in 2008, and the manufacturing industry and the service sector shape the city's economy today: Schweisfurth Fleischwaren (today: Herta), the bottling plant of Coca-Cola, the Vestische Straßenbahnen GmbH, and various charitable and diaconal institutions are the main employers of the city. In 2015, 18,583 employees that are subject to social insurance contributions were registered and with an unemployment rate of 12 %, Herten was far above the average of North Rhine-Westphalia. Commerce and trade are equally faced with corporate crimes – through third parties and employees. Our corporate detectives in Herten mainly investigate cases of false claims for expenses or wages, additional occupations that were not agreed on by the employer and violation of sick leave, but also theft or espionage (often in combination with bribery) and – rather seldom – burglary are among the cases that our detectives deal with on a regular basis. The experienced investigators of our detective agency in Herten solve respective cases on behalf of companies, acquire valid evidence and, thus, offer their clients the possibility to take legal action and to assert their claims in court. We will gladly advise you in detail on your case-specific options: +49 234 3075 0073.